Receive our weekly email newsletter filled with programming highlights, a free download & much more. What would you like to hear on KUSC radio? 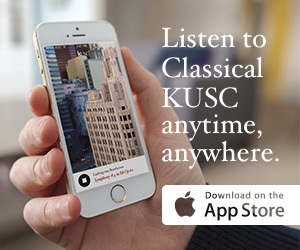 Try the redesigned KUSC iPhone and iPad app or the Android app!